If a brand wants to get a customer’s attention, marketers know that there is no substitute for showing the customer how a product fits into real lives in the real world. And to show a lot of prospective consumers this, brands need to show them the product on a large scale such as in a television show or a movie. Product placement might not be an official component of the four 4Ps (product, price, promotion, place), but maybe it’s time to add it as a fifth P. While there are times that the product is very noticeable (such as BMW cars in James Bond movies), there are many times when products are used subtly (but still get our attention).Companies that are able to get their products shown on the big screen – or even a small screen – bring their products to the attention of millions of viewers, all of whom have opted-in to watching a show or movie. Is it worth the cost to marketers? Considering that the average 30-second commercial can easily cost several hundreds of thousands of dollars, then several seconds of airplay of the product in use can easily recover the costs. What are you seeing on the screen? Ask students to name their three TV shows and/or movies that they recently viewed. Next, ask them to name at least three products that they can recall seeing in the show. Were those products there by accident? Show a video clip of one of the TV shows or movies. The clips can easily be found on hulu.com, www.youtube.com, and other sites. Divide students into teams. Have each team choose two products they would like to have placed in a TV show. How would these products be incorporated? What is the desired result? Source: Fleck, A. (9 August 2018). 6 product placements on TV so good you didn’t realize you were being sold something. Ad Week. The company made only 1,980 coats (Get it? 1980 was the year of The Empire Strikes Back release) and they sold out online almost immediately, with very few left in stores. According to Columbia, the Luke jacket sold out in 5 minutes 22 seconds; the Han parka in 6 minutes 23 seconds; and the Leia jacket in 7 minutes 05 seconds. Not quite hyper-drive speed, but pretty darn fast nonetheless. Columbia said the jackets were “built to withstand freezing temperatures on Hoth or other galaxies closer to home.” Unfortunately for fans, there are no plans to create more jackets. Never underestimate the power of The Force, or a limited release. Discuss the power of entertainment for marketing products. Poll students. What products related to movies or shows can they recall? Have they bought any of these? Discuss why the product sold out so quickly? Who was the target market? What role did exclusivity play in the sales? Should Columbia make more of the jackets? Source: Griner, D. (2017, Dec. 8). Columbia created a line of Empire Strikes Back’ jackets and sold out in minutes. Adweek. 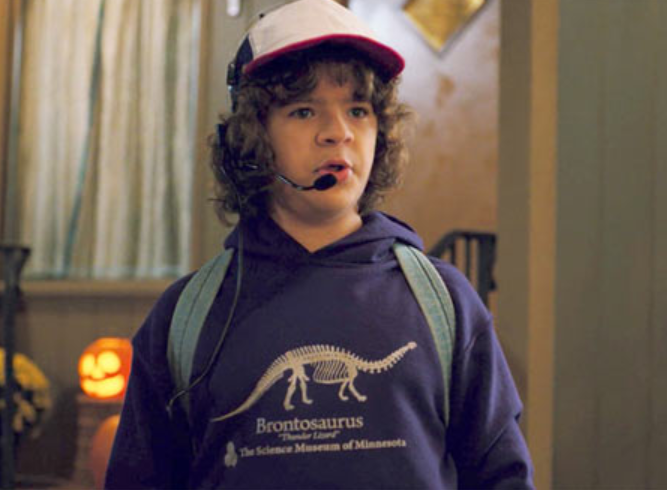 With an average viewership of more than 8.8 million people per episode for season two, Dustin wore a vintage Science Museum of Minnesota hoodie (featuring a drawing of a brontosaurus skeleton). It sent the Internet rocking and social media went crazy. The Science Museum was deluged with requests from fans to buy the hoodie. The only problem was that it no longer existed. The vintage art work used on the shirt was from the 1980s and found online by the show’s costume designer. Product placement works (even it’s for an old product)! Discuss product placement and its role in promotion. Poll students: Who has watched, or heard of, “Stranger Things”? Poll students: What product placements can they recall seeing in the past month in TV shows or movies? What makes an effective product placement? Divide students into teams. Have each team select a popular show that they have watched. What products or services would be a good fit? Why? Source: Harlow, T. (2017, Nov. 7). Sales of ‘Stranger Things’ hoodie overwhelms Science Museum of Minnesota website. Minneapolis Star Tribune.